ABOUT THE FESTIVAL: The New York Indian Film Festival (NYIFF) is the oldest, most prestigious film festival screening premieres of feature, documentary and short films made from, of, and about the Indian subcontinent in the Independent, arthouse, alternate and diaspora genres. Seven days of screenings, post-screening discussions, industry panels, award ceremony, special events, nightly networking parties, red carpet galas, media attention and packed audiences build an awareness of Indian cinema, entertain & educate North Americans about the real India, and add to the amazing cultural diversity of New York City. The 2019 New York Indian Film Festival announced its showcase films for Opening Night, Centerpiece, and Closing Night. Bardroy Baretto’s Nachom-ia Kumpasar (Let’s Dance to the Rhythm) has been selected as the Opening Night Gala film of the 2016 New York Indian Film Festival (NYIFF). 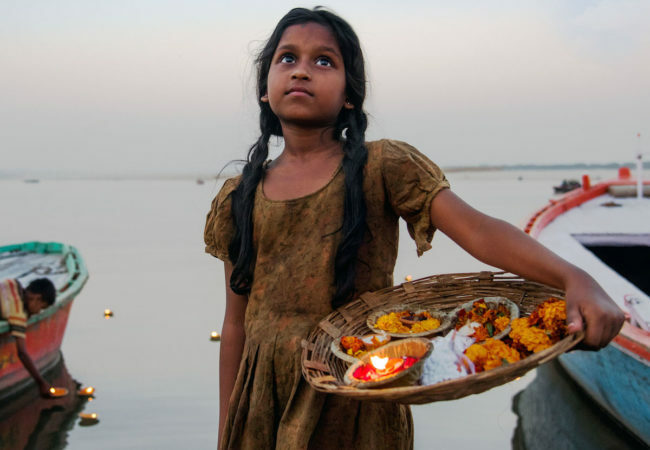 The New York Indian Film Festival (NYIFF) announced the full lineup last night for their 14th year of celebrating independent, art house, alternate, and Diaspora films from/about/connected to the Indian subcontinent (May 5 – 10) at the SoHo Tiffin Junction. Dedicated to bringing these films to a New York audience, the festival will feature 34 screenings (23 narrative, 11 documentary) –all seen for the first time in New York City. The festival highlights various cinemas of India’s different regions – Marathi, Bengali and two films from the Northeast. In addition the festival covers cinemas from the neighboring South Asian countries – four films by Pakistani filmmakers, two from Sri Lanka – a feature and a documentary, and one from Nepal. The New York Indian Film Festival (NYIFF) celebrating its 14th year will kick off with the Opening Night Gala film: Anurag Kashyap’s UGLY, described as a sensational tale of corruption, indifference, and systemic violence that begins when a 10-year-old daughter of an aspiring actor disappears. The festival will run May 5 to 10, 2014 in New York City. Closing Night presenters and filmmakers. The New York Indian Film Festival (NYIFF) announced the winning films of the 2013 festival, which ran April 30 – May 4, with top honors awarded to Anumati directed by Gajendra Ahire, for Best Feature Film and the Best Documentary award went to The Only Real Game, directed by Mirra Bank. Director Hansal Mehta took home the Best Director of a Feature Film award for his compelling film Shahid, which traces the true story of slain human rights activist lawyer Shahid Azmi. The 13th Annual New York Indian Film Festival (NYIFF) announced the lineup for their “100 Years of Indian Cinema” series to mark the global celebration of 100 years of Indian Cinema – since filmmaker D.G Phalke released his first feature film RAJA HARISHCHANDRA on May 3, 1913. The lineup includes three rarely seen masterpieces from different time periods, as well as two world-premiere documentaries that explore different facets of Indian filmmaking. The 2013 New York Indian Film Festival (NYIFF) will screen 22 features (14 narrative, 5 documentary, 3 recently restored classics) – all having their New York City premieres. Among the highlights of the festival’s 13th year is centerpiece selection Hansal Mehta’s SHAHID. SHAHID traces the true story of slain human rights activist lawyer Shahid Azmi. Feroz Abbas Khan’s DEKH TAMASHA DEKH will open the 2013 New York Indian Film Festival (NYIFF) while Nitin Kakkar’s FILMISTAAN will screen as the closing night film. Now celebrating its 13th year, the festival is considered the oldest, most prestigious Indian film festival in the United States and runs April 30 to May 4, 2013. Lyrically interwoven, DEKH TAMASHA DEKH is a social and political satire that cuts deep to the heart of many current issues, a true story based off true events. Written by renowned marathi playwright Shafaat Khan, who creates finely nuanced characters with depth and dimensions and sets them against a lush visual backdrop of a small village in India. Director Feroz Abbas Khan has directed some of India’s finest acting talent during his career of over two decades and he is at the forefront of Indian theatre today. His debut Film “Gandhi My Father” received rave reviews and won several national and international awards. He now showcases his new cinematic vision as the opening night film for the festival. The 13th Annual New York Indian Film Festival (NYIFF) announced an exclusive kick-off screening of MIDNIGHT’S CHILDREN followed by a special Q&A on April 10, 2013. In attendance will be the film’s acclaimed director Deepa Mehta, award-winning writer of the novel Salman Rushdie who also adapted the screenplay, producer David Hamilton, cast members Sarita Choudhury and Samrat Chakrabarti, plus other special guests. Paladin and 108 Media will be officially releasing MIDNIGHT’S CHILDREN in major U.S. cities starting in New York City on April 26. With this latest masterpiece, MIDNIGHT’S CHILDREN, Mehta tantalizes audiences with lush visuals and a magical, wide-spanning story. Two babies, born within moments of India proclaiming Independence from Britain, are switched at birth and are forever marked by history. MIDNIGHT’S CHILDREN has played at festivals worldwide to much critical acclaim. This star-studded event is open only to press and members of the film festival’s presenting organization, the Indo-American Arts Council (IAAC). Widely recognized as the premiere showcase of groundbreaking Indian cinema globally, IAAC’s NYIFF will announce the full line-up of screenings and events for the festival by March 22. Celebrating its 13th year, NYIFF will run April 30 to May 4.